I’m sharing my daily 5-step summer beauty routine in partnership with Vaseline and sponsored Mirum Shopper. This beauty regimen is full of summer beauty essentials and is the perfect way to transition to fall! I don’t know about you all, but I feel like having a fresh, polished look and glistening skin can make or break your day. We tend to feel how we look, so I think it’s important to make sure we look our best! I know you all read about my summer outfit essentials with Vaseline Cocoa Radiant Lotion, it’s my go-to moisturizer year round. Now I want to share my summer beauty routine so you can see what I am doing day in and day out to keep myself together this summer! As the leaves start to fall and it gets just a little bit colder, we will start to cover up a little bit more and change over to fall style. This includes hats, coats, scarves, pants, and other warm weather outfits. When we’re cold and covered up, some people tend to slack in the beauty department, and we can’t have that! Keeping true to your summer beauty routine now will help you stick to it through the fall and winter months to prevent dry skin and make up, hair, and nails from taking a back seat! My 5-Step Summer Beauty Routine Is Perfect For Transitioning To Fall! Exfoliating is a big part of keeping your skin smooth and clean. The amount of dirt, dead skin, acne, and other stuff that our skin goes through makes it pretty dull and dry, and a good scrub at least once per week will have your skin feeling extra fresh and healthy. I personally love homemade sugar and sea salt scrubs with essential oils, this sugar scrub with coconut and essential oil is my favorite! While your scrubbing the dead skin off of your body, don’t leave your face out to dry! Use your favorite facial cleanser to gently scrub your face clean. 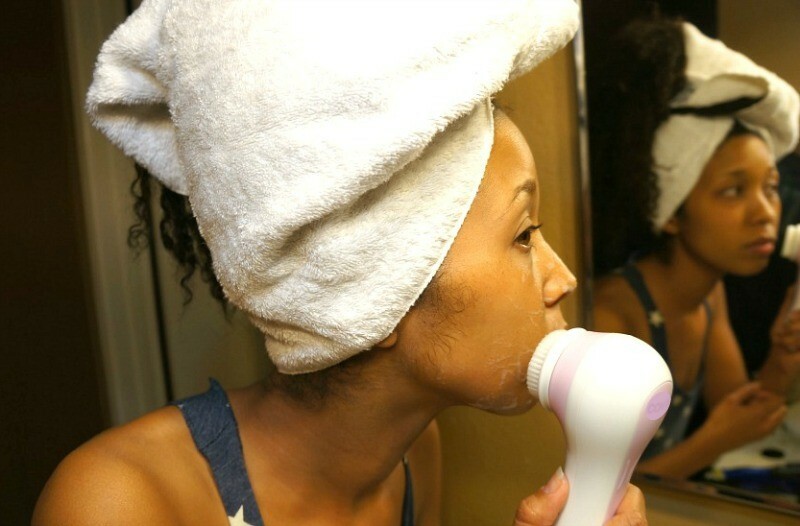 I like using warm water to open up my pores, and a soft facial brush to cleanse away all of the oils and dirt that may be lurking. Rinse with cool water and pat to dry with a clean towel. Now that we’ve covered the face, the rest of the skin on your body needs some daily attention! I moisturize with Vaseline Cocoa Radiant Lotion, formulated with 100% pure cocoa butter, Shea butter, and Vaseline petroleum jelly for the ultimate glowing shine. Consider mixing in a little bit of sunscreen for days that you know you’ll be outdoors in the sun. Whether it be spending time in a bikini by the pool, or putting together some outfits and essentials for events or travel, keeping my skin smooth and silky each day keeps me ready for whatever comes my way! The summer is all about warm weather and light vibes, so a natural looking make up palettes are what I prefer. Choosing a natural mineral based foundation, concealer, and light eye and lip colors are my go-to cosmetics. This way, I can achieve a summer look I love with less chemicals and fillers sitting on my skin and clogging my pores. I use coconut oil as a natural make up remover, it works wonders! I will transition to darker colors for the fall season. Keep that hair moisturized and those nails flawless, ladies. The beauty of hair and nails is that we have options to change the color, length, and style as the seasons change. As we transition to fall, it’s a must that we keep this beauty routine up to stay looking polished all year long. Flaunt the skin you’re in all summer long and year round with Vaseline Cocoa Radiant Lotion, available at Walmart. I hope these daily beauty tips will help you carry your natural beauty with you wherever you go. 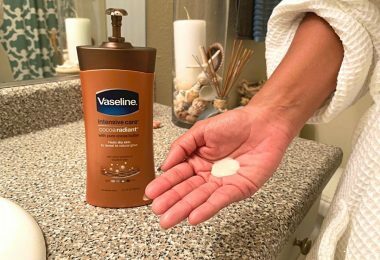 Vaseline Cocoa Radiant Lotion has helped me to feel more confident in the skin I am in, giving me a youthful glow from head to toe! Start now by prepping your skin during the summer months to get into a summer beauty routine that will last throughout the fall. Stop by a Walmart store or shop online for Vaseline Cocoa Radiant Lotion.